Partner with one of the most popular Miami Beach hotels and earn commissions by promoting our brand through Rakuten network. 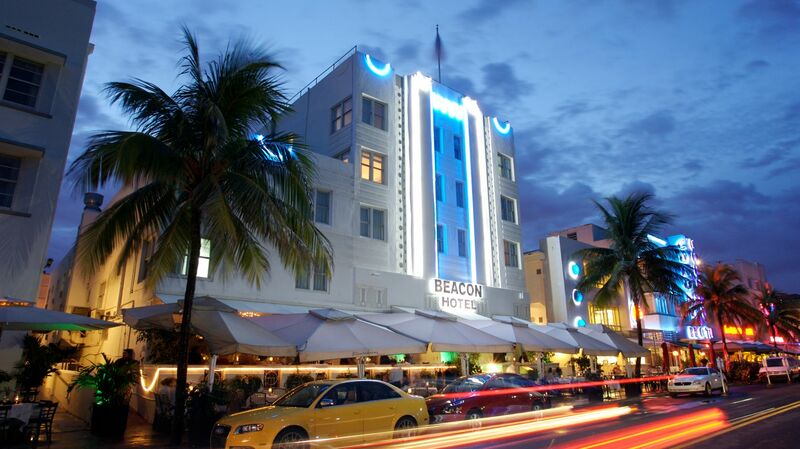 Located right on famous Ocean Drive, Beacon South Beach is an iconic Miami Beach boutique Art Deco hotel. Recently renovated accommodations feature comfortable beds, smart TVs, Nespresso machine, and free Wi-Fi. Our and guests feel right at home and enjoy complimentary hot American breakfast, beach amenities, and excellent guest service. WHY SHOULD YOU JOIN BEACON AFFILIATE PROGRAM? We genuinely care about your success. A dedicated team will work with you and answer any questions you may have. Beacon invites travel sites, meta search sites, blog and content sites, deals, mobile publishers, and other partners to promote Beacon South Beach brand. We provide high earnings. Publisher commission is 10% and paid on booked stays with 45 days cancellation window. Earn even more by participating to our incentives organized throughout the year. You are required to maintain a live and fully operational website through which you will conduct your marketing and advertising campaigns in connection with the affiliate program. Respect our content, images, text links and ad copies at all time. Utilize promotional creative provided through Rakuten to build content about our hotel on a featured brand landing page on your site. Be sure to include updated links to Beacon's branded website and dedicated landing pages so you get credit for bookings generated on a click. Obtain Beacon's written consent before any email marketing is sent. No bidding on Beacon South Beach trademarks terms and their misspellings.